One of the most fun parts about being in the #shantyboat on the river is losing control in a wind and damaging the boat against docks and whatnot. We are fixing things so we can have more of this fun. ← Sanding the hull of the #shantyboat in preparation for new bottom paint. 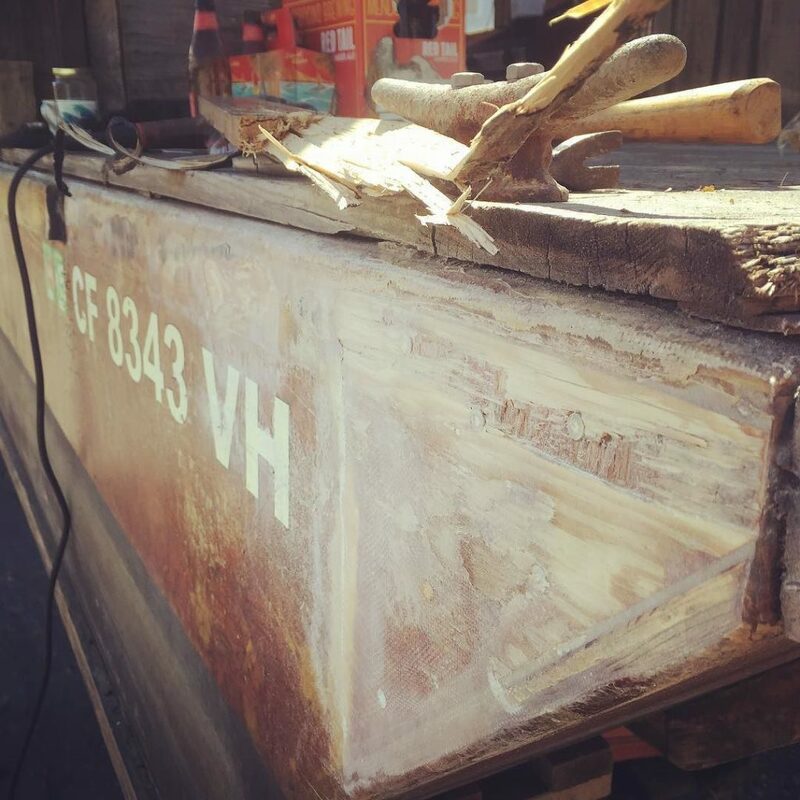 ← Sanding the hull of the #shantyboat in preparation for new bottom paint. ← #shantyboat workday at the Santa Cruz Harbor.